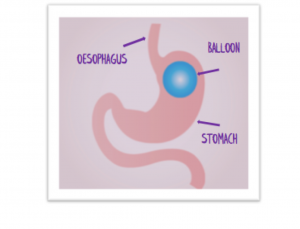 A Gastric balloon is a non-surgical device that is used to help aid weight loss. Along with healthy eating and regular exercise the balloon can help you lose weight. Losing weight can be difficult without any help so the balloon is a tool that can help make that process a little easier.